When it comes to digitization of society, the healthcare sector is one of the carrying foundations. Healthcare has had a reputation of being resistant or at least slow to digital transformation, but the pace is picking up, and today we see some of the most innovative new digital solutions rising from all sorts of areas of the healthcare sector. What drives this change? Well, medical inventions excluded, we see an increasing patient-centric focus inspired by customer experience focus from other industries as a driving factor. A healthcare system where patients are not met as objects of treatment, but as people whose experiences and satisfaction mean something. First of all, a patient and a customer is not the same. Most patients are put in situations which are stressful by default, where they have little to no control. Customers can pick and choose and walk away if the experience doesn’t meet their needs. This doesn’t mean that healthcare providers shouldn’t be inspired by customer-centric approaches of other industries - quite the opposite, actually! For patients, hospitals represent life and death, happiness and sorrow, and a whole lot in between. 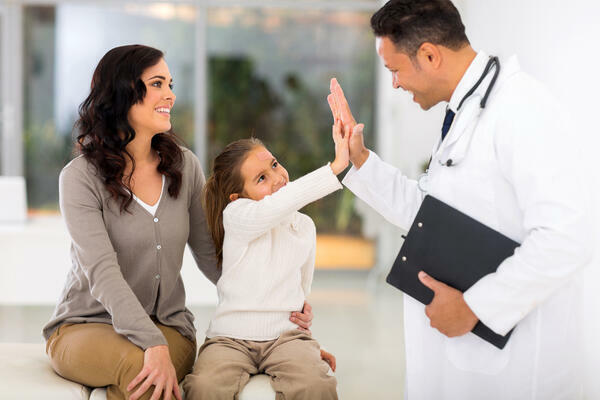 When clinics and hospitals recognize the intensity of the experience for patients, they can focus on showing the patients that they care about all the little things that make the interaction better. Patients-expressed satisfaction rises when patients feel like the hospitals cares enough to provide accessible services. An indoor navigation solution provides an easy overview and accessible wayfinding instructions, which helps the patient feel less disoriented and helpless. Just the other day, I had a hospital appointment. I went down to one end of the floor to use the self-service check-in display and was instructed to go to waiting room three, which I had no idea where was. The walk back to waiting room three by the entrance was only 100 meters, but by the time I got there, my heart was beating fast with fear that I somehow wouldn’t be able to find the room, maybe even miss my appointment, which would be both embarrassing and inconvenient. The problem wasn’t that big - but it felt big. The situation is probably relatable for most people. If patients feel that the available wayfinding tool at hospitals is insufficient or ambiguous, they are more likely to feel disoriented, stressed, embarrassed, or even panicked - and because they assume that their lack of orientation is their own fault, they don’t complain, so you might not even be aware of the real pitfalls of your current wayfinding system. Missed appointments cost the U.S. healthcare system more than $150 billion a year. Many hospitals have already implemented technology to send patients reminders and notifications before appointments. That solves the problem of missed appointments that stem from forgetfulness. There is, however, also the problem of missed appointments due to wayfinding issues. Even if the patient is simply late because they get lost, the delay will start a chain reaction of appointment delays for the rest of the day. With an easy and accessible wayfinding tool, less patients will get lost and miss or be late to appointments. When patients become disoriented, they typically ask the hospital staff for help. Not only do the interruptions reduce productivity in your hospital, they also cause stress among your staff members. A study shows that 78% of the staff at a hospital give direction at least 3 times in a week - that’s a lot of lost time and a lot of dealing with near-panicked disoriented people when they should be focusing on something else entirely. If you use an indoor positioning system with our indoor navigation solution, MapsIndoors, you can show your patients exactly where they are on the map, which helps them get a good overview and sense of orientation. And you can integrate other third party systems, like queue management systems to manage and show expected waiting times. The more accessible you make the information your patients seek and need, the less time your staff wastes on giving directions. Maybe you ask “but why digital?”. Hospitals have their own wayfinding systems, some with map posters, some based on colorful lines on the floor. And sometimes they work quite well. But as people get used to digital navigation outdoors, they increasingly expect the same navigation service indoors - in all sorts of venues. Digital wayfinding is easy to understand and to use - and it adapts to the digitized everyday life of your patients. MapsIndoors is built on Google Maps, so that your patients can navigate seamlessly from their own doorstep directly to the self-service check-in display - and to waiting room three! 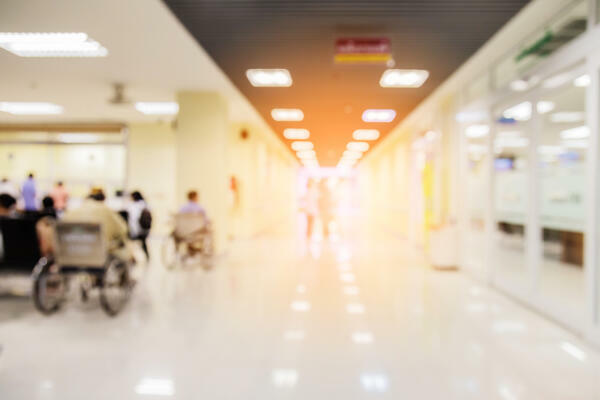 Want to learn more about our indoor wayfinding solution for hospitals, check out our industry page below or download our free eBook, Improving the Modern Hospital.